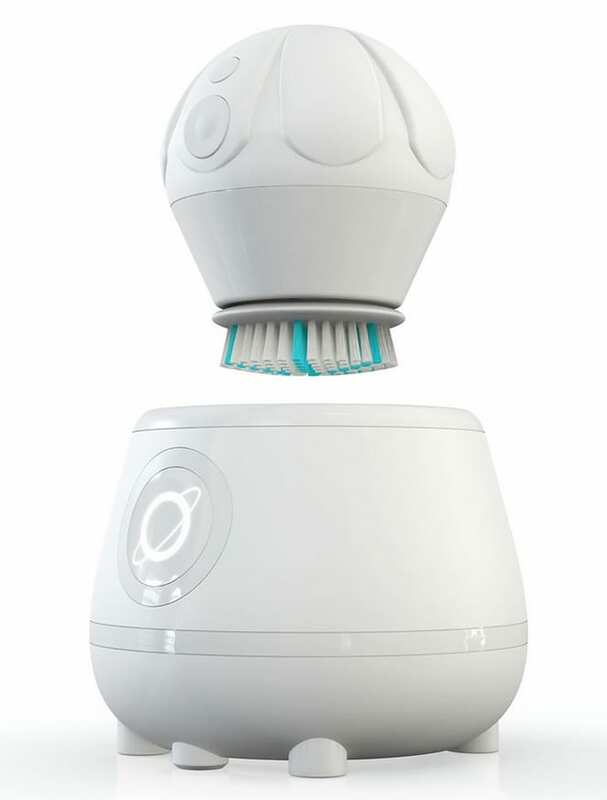 This is the motorized exfoliating brush with a base that instantly kills 99.9% of bacteria. Its base has a built-in dryer and uses a UVC bulb—the same technology used to sanitize hospital surfaces—to sanitize the bristles. The oscillating brush head and nylon bristles remove dead skin cells, makeup, and other impurities, while improving blood circulation, facilitating collagen and elastin cell production and reducing the appearance of enlarged pores, age spots, and wrinkles. The cordless, water-resistant brush can be used in the shower, has two rotating speeds, and comes with two interchangeable brushes.